From skin detoxification to pain relief and better blood circulation, the alternative therapy of steam rooms and saunas can do wonders for wellbeing, and are a great way to naturally promote healing and relaxation for both the mind, body and soul. First made popular by the ancient Greeks and Romans, steam rooms have been used for centuries for their numerous health and beauty purposes. Still used today for many of the same reasons, the wet heat your body absorbs while in a sauna is said to promote healing and improve both physical, mental and emotional wellbeing. This ancient treatment is also designed to induce sweating, which provides numerous benefits, from pain relief to better blood circulation. Using moist heat in a closed off room, the temperature and humidity of the air is achieved by pumping in steam, which usually comes from a large water-filled generator that produces water vapor at high levels of humidity. Using a different method but with just as many healing properties, a sauna cultivates dry heat to help kickstart your body’s natural detoxification process and draw out impurities from the skin. Kept at a much higher temperature than steam rooms, saunas use either a wood stove, electric heater or an infrared lamp to irradiate dry heat throughout the room. As well being a great way to help flush out toxins from the body, saunas also help to increase muscle stimulation by relaxing your joints and allowing them to repair and recover more quickly. This ancient treatment is also designed to induce sweating, which provides numerous benefits, from pain relief to better blood circulation. So how does all of this heat really benefit your health? By shutting yourself in a room filled with heat or steam, your body naturally warms up which encourages you to perspire. One by one your pores begin to open, which in turn prompts your body to start excreting metabolic waste via small beads of sweat - it’s estimated that as much as 30% of bodily waste can be eliminated by way of perspiration. On another level, on top of helping to rid you of all the nasty toxins from your skin, steam rooms and saunas are also great for getting your pulse racing, as the heat has a stimulating effect on the cardiovascular system. Because your blood circulation is then boosted, tiny vessels in the skin expand which enhances the amount of nutrients that can be carried to the skin, and it’s this that leaves you with that fresh-faced healthy looking flush when you leave the room. 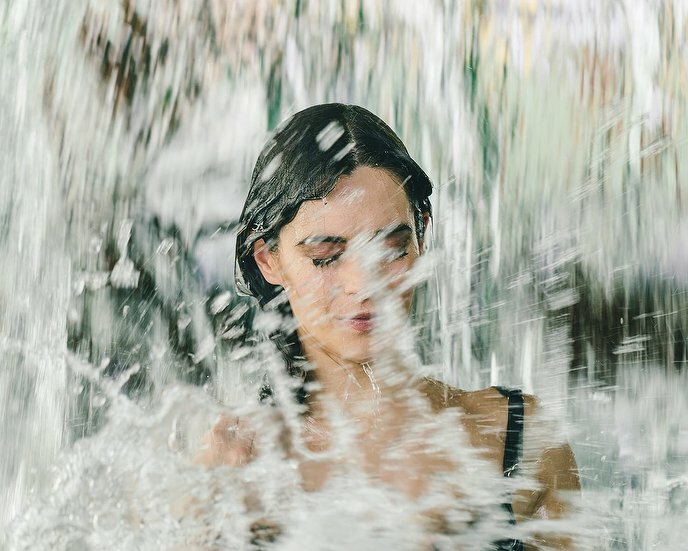 A common fixture in most spas, health clubs and wellness facilities across the country, steam rooms and saunas are an integral part of hydrotherapeutic treatments, and can be used up to three times a week for all round health and wellness. The code of conduct often varies from place to place, but in general the dress code is any swimsuit goes, but jewellery, make-up and shoes should be removed. Whether it’s temperature-controlled baths or healing pool-based exercise routines, hydrotherapy can be a great way to melt away aches and pains caused by a host of different health issues. From arthritis to strained muscles, using a range of healing methods, water can be a great alternative treatment to getting you back to feeling yourself again.